The Islamic Center of America is one of the oldest Islamic institutions in the United States. It traces its history to the 1940s as the growing number of Muslims in Detroit set out to bring to the area a religious leader from the Middle East to serve the community. A young author and scholar, Imam Mohammed Jawas Chirri, was the choice, arriving in Dearborn from Lebanon in February 1949. Almost immediately, however, there was factional rivalry, forcing Imam Chirri to depart the area in December 1950 for Michigan City, Indiana. While there, Imam Chirri studied English, American culture, and worked in the community. In 1954, Muslims from Detroit visited Imam Chirri and offered him an invitation to return to become the leader of the newly-formed Islamic Center Foundation Society. Imam Chirri accepted, but the goal to build a new religious center would prove a difficult task. In 1959, Imam Chirri visited Egypt, where he impressed President Gamal Abdul Nasser who presented the cleric with a check for $40,000 towards the building of a mosque in the United States. Land for the center was purchased from the Ford Motor Company and plans were drawn up by an architect. With all of these things in place, the group approached a local bank, which balked at making the loan. A businessman within the community offered further collateral, and the additional cash demanded by the bank was collected from the community through fund-raising activities. 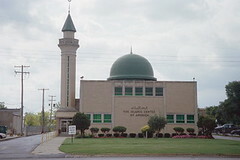 Only then did construction begin on what would be the first religious center built specifically as a mosque in Michigan. On September 20, 1963 the Islamic Center of America opened its doors. 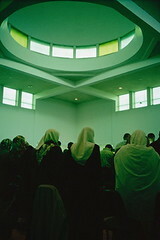 The building consisted of a large domed prayer room, a lecture hall, kitchen, two classrooms, and an office. Following the opening of the mosque, families from the Islamic Center began to move into the area, which today has large numbers of working-class and low-income African Americans. By 1967 the center had already outgrown this space. Added to it, therefore, were the additional classrooms, an enlarged social hall, and a minaret. 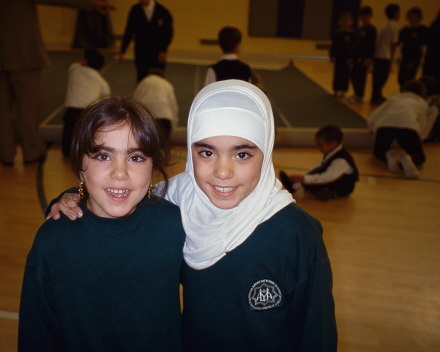 While the majority of the original members of the Islamic Center were from Lebanon, and current members still tend to be Lebanese immigrants or their descendants. This has created two groups, recent immigrants who are resistant to change and the others who are at home in American culture. In order to serve these two distinct groups, lectures are provided in both English and Arabic. Young people tend to use English in informal conversations, but overall the language spoken by members is Arabic. Currently the center estimates that 10,000 individuals are affiliated with it. Lebanese make up approximately 80 percent of the affiliates; the other 20 percent is composed mostly of Iraqis and African Americans. There is a Board of Trustee made up of 30 members. Due to the growing numbers, the center has had to add worship times. Thursday evenings there is congregational prayer at 7:00 P.M., followed by Du’a Kumail and Islamic Insights for young people. On Friday, Juma prayer is observed at 12:30 P.M. On Sunday morning, there is a lecture by the imam at 11:00 A.M., followed by congregational prayer at 12:30 P.M.. There are a wide range of additional activities, including basketball for men on Tuesdays and Thursdays and volleyball for women on Wednesdays and Fridays. The center has a television program which presents its message to a larger audience. The center is a member of the American Council of Islamic Organizations, and raises money to help in relief efforts in Muslim nations, such as the recent earthquakes in Turkey and Iran. 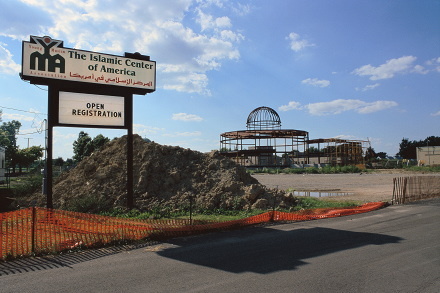 Once again, the Islamic Center of America has run out of space, and is now in the process of building a new religious center at 19500 Ford Road, in Dearborn, near the center’s already existing grade school, the Muslim American Youth Academy. The new mosque will be one of the largest in the United States, and will be located along a stretch of Ford Road that is home to several churches, including St. Sarkis Armenian Apostolic Church, St. Clement Ohridski Orthodox Church, Warrendale Community Church, St. Thomas Aquinas Roman Catholic Church, and Prince of Peace Lutheran Church (which is also home to People of the Book Arab Christian Church). Being built at an estimated cost of $8,000,000 to $10,000,000, the new mosque will be able to handle 1,000 individuals at prayer time. As a part of the construction plans, 14 additional rooms will be added to the school. There will be a 700 seat auditorium, and a social hall that can accommodate 1000 people. There will be a specially built ablutions area, a large kitchen, offices, and meeting rooms. Since 1997, the leader of the Islamic Center of America has been Imam Hassan Qazwini, born into a prominent religious family in Karbala, Iraq.